Inspiring Youth is what Camp Seggie is all about. It was founded in 1963 with a vision of becoming a safe and fun place for youth to learn about God’s love. Seggie is more than games and laughter, it’s about growing, nurturing and developing. Your child will make memories and friendships that will last them a lifetime. 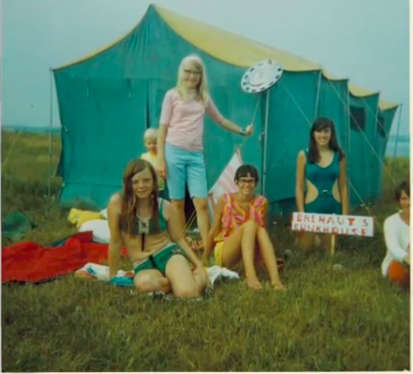 Camp Seggie is one of the most comprehensive, longest-running summer camps on PEI. For more than 50 years, we’ve been the reason hundreds of children and their families count down the days until July. 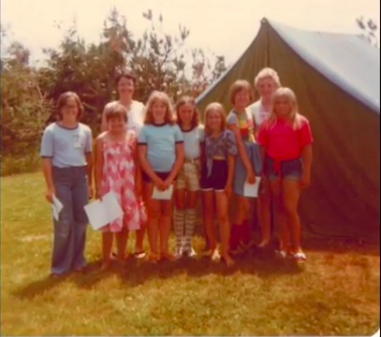 Many of our campers have grown up with Camp Seggie and return to us again and again; sometimes as cabin leaders and often as parents of new campers. 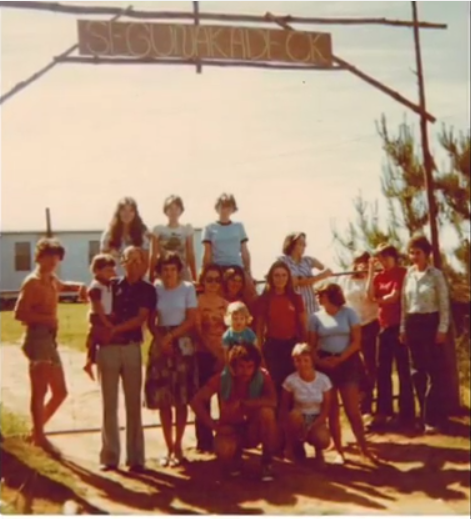 Camp Seggie has been loving kids, and creating wonderful memories for thousands of boys and girls since 1963. We value each child’s individuality, and give them opportunities to grow and express themselves. We share God’s love and through our diverse, well-balanced program, our campers build confidence, make friends, learn new skills and fully explore their world. We encourage campers to do things for themselves and for others because we believe it’s the best way they learn and grow. Every child is different: some enjoy the arts, some prefer sports, but most like a bit of everything. We balance activities for body and mind, and our programs recognize the uniqueness in everyone. All our campers enjoy a safe, inclusive and energetic experience and Camp Seggie continually reinvents itself to ensure that each summer will be fresh and personal. Each year, Camp Seggie welcomes over 800 campers from across the Atlantic Provinces. To take extra-special care of them we hand-pick approximately 40 qualified staff from a large pool of candidates. We look for enthusiastic people who have a heart for God and a desire to show love to campers. This includes our full-time Cabin Leaders (One Senior and one Junior per cabin), our Directors (Executive, Camp Life, Facility, Staff), our Cooks, our volunteers and our specialty Staff (Admin, Lifeguards, Multimedia, and First Aid attendants). Seggie’s 1:4 staff-to-camper ratio is exceptionally high and all our staff undergoes a week long training program which includes basic first aid and emergency procedures. We perform background checks and carefully supervise all of our staff and volunteers. We have a mentoring program that nurtures and trains our Junior Cabin Leaders so that they will be excellent Senior Cabin Leaders in the future. Camp Seggie’s five age-specific camps range from enriched, balanced programs for our youngest campers to activity electives and special programs for our older ones. From our Mini-Camp (grades K-3) to our Junior Teens Camps, Seggie’s programs adapt to all ages and needs. There’s something new to look forward to each summer. We run a very active program and good nutrition is necessary to keep everyone going. To satisfy everyone’s appetite, we serve three full meals and one snack per day. Our food is designed to be healthy yet kid approved meaning your child will have plenty to eat. Campers also have the option to purchase snacks at our Tuck Shop each afternoon. Camp Seggie is a safe and beautiful place. It rests on an eleven acre point surrounded on three sides by the South Shore. We have a spectacular ocean view overlooking St. Peter’s Island and Charlottetown is only fifteen minutes away. We have a beach, a large heated swimming pool, a 30 foot Climbing Wall, a BMX Course, soccer fields, beach volleyball, paved ball hockey and basketball courts, cozy cabins, plenty of bathrooms and showers, a new lodge with an up to date kitchen, dining hall and assembly area and much more. Campers and Cabin Leaders sleep in comfortable cabins that can house 8 campers and 2 Cabin Leaders. Our average ratio is 4 campers to one Cabin Leader. There’s nothing better than enjoying a camp wide game on our spacious, waterfront playing field or singing campfire songs under a star lit sky. A day at Camp Seggie consists of playing fun team games, eating three delicious meals, swimming in our heated pool, buying treats from the Tuck Shop, playing on the beach, selecting one week long Major Elective and five daily Minor Electives, competing for team points, learning about God in youth geared chapel sessions, hanging out with friends, talking with caring Cabin Leaders, playing night games, singing around a campfire, sleeping in a cabin with good pals and just having lots of good old-fashioned fun. Above all, we strive to show each child love and acceptance each day they are in our care. We teach the Gospel message of Jesus Christ. Campers attend two Sessions a day. These are fun sessions that include singing, teaching and interaction (either a speaker, drama, video or puppet presentation). Our desire is to introduce people to God, not in converting people to a particular church. Camp Seggie will give you an experience that will put a smile on your face. We’d be happy to answer all of your questions, and even happier to welcome you into our extended Seggie family. Some of our camps fill up quickly, so register early. We hope to see you soon!